sensor failure. Thankfully, the temperature sensors are very easy to test to ensure they're functioning correctly. Simple remove the rear panels. 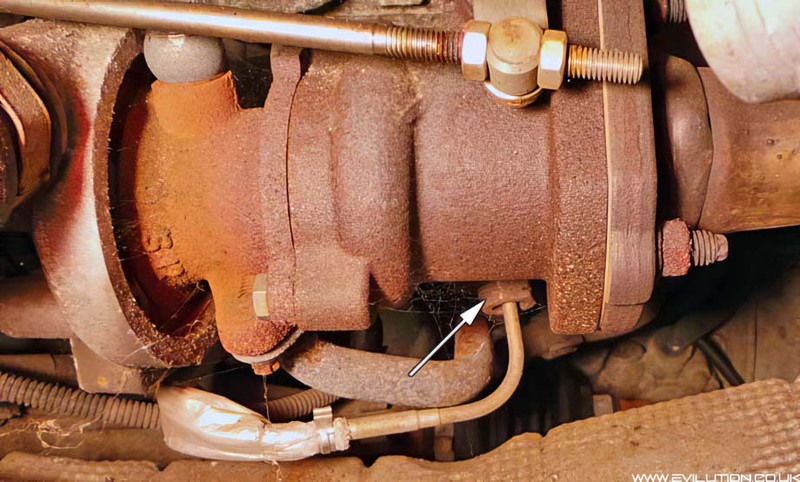 Then look at the turbo to find the 1st sensor. Then loom at the exhaust box to find the 2nd sensor. Thankfully, you don't really need to remove them to test them. 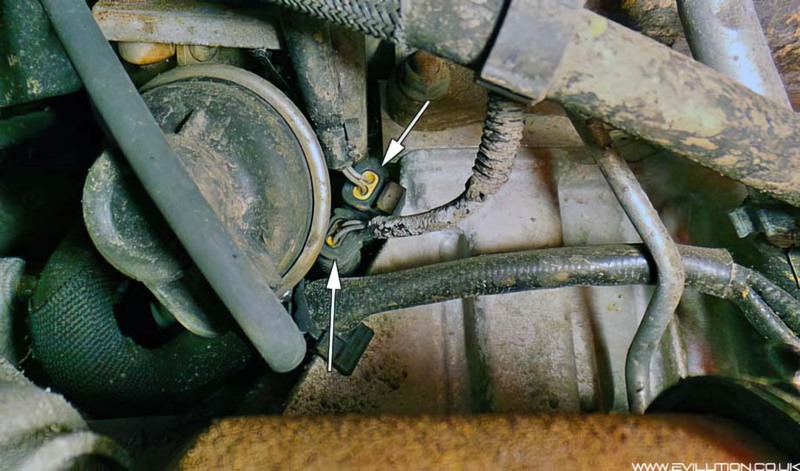 The electrical connectors can be seen underneath the engine, on the left side, behind the drive shaft. 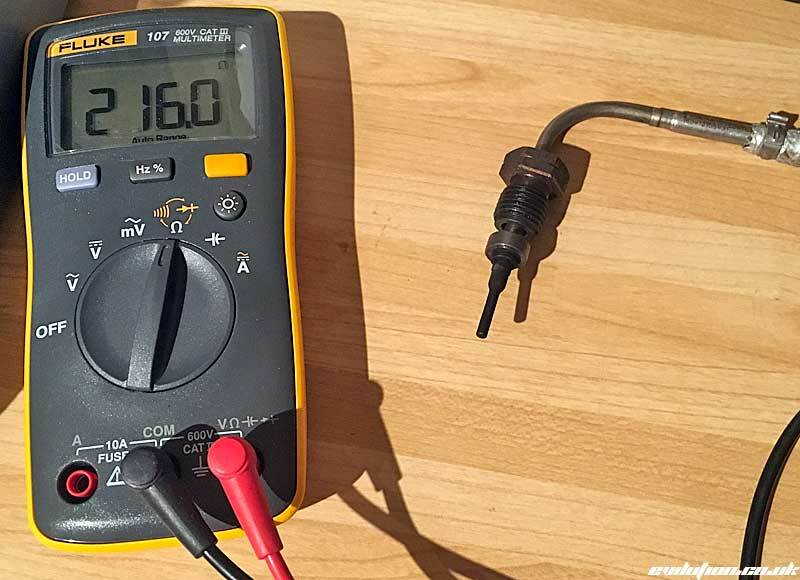 Disconnect them both and find your trusty multimeter. Leave the car unused until everything is as cold as the air temperature. pins pushed into the connector so you can make good contact with both terminals. At 18 degrees C (the normal temperature of my house), the sensor read 216 ohms. 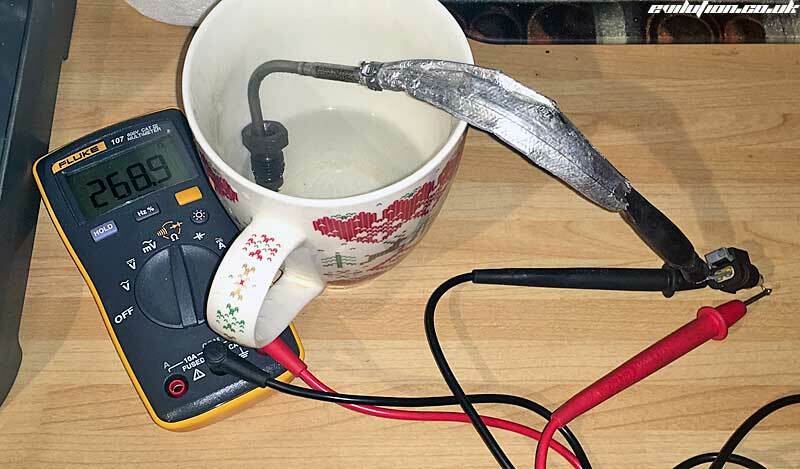 However, when put in freshly boiled water, the multimeter showed 270 ohms. The important thing is that both sensors read approximately the same amperage.